When we talk about ways to earn money online, affiliate marketing always comes in the list of most popular and profitable ways to make money via your website or blog. It is a process of making money by promoting products of an affiliate company on your online presence (website or blog). When someone buys something by clicking on the affiliate link added to your blog posts or article, the company pays a specific commission percentage you in return. Since affiliate marketing is one of the widespread and reliable ways to make money online, there are vital things to consider before joining affiliate program in order to get more bucks in return for your efforts. Below are the things that every affiliate marketer must look for in an affiliate program before signing up. In order to become a successful affiliate marketer, you must find out whether there is a specific need, demand and consumer interest for the products or services that you are about to promote. Check the products for the specific market, price range (in reach of most people or not) and most importantly whether fulfilling the needs of customers or not etc. If the affiliate program has products that you can sell more, be quick to join but after considering these things to check before joining an affiliate program. It is something most important to you if you are about to start affiliate marketing from the country that doesn’t support PayPal. Getting started without having information about the payment method, it would be hard for you to get paid by the company if don’t have access to PayPal. In such situation, you must go with an affiliate program which is paying the publishers via different payment methods. When signing up for an affiliate program, checking the minimum payout limit is one of the things to consider before joining an affiliate program. Since there are a lot of affiliate programs with high payout rate that often try to scam. So there is no reason to join one with a minimum payout of $500. You must pick an affiliate program that allows you to get your commission amount when the total reaches $100 (here $100 is the maximum payout even most of them allows you to withdraw with a total of $10). If the payout amount is high, you might lose the motivation before hitting the minimum payout. So make sure that the minimum payout is not more than $100. Check out these best affiliate networks with the minimum payout (from maximum to minimum). So, here is the need to keep an eye on cookie duration or length offered by the program in order to get the commission amount for each and every sale made by you. Because cookie has an expiry, and when it reaches the expiry date, you will be unable to get the sale credit even after purchases made by the customer. That is the reason, check for the cookie duration is one of the things to consider before joining an affiliate program. Basically, you are doing affiliate marketing to get some commission on every sale made via your blog or website, you must check for the commission percentage of the products you are promoting. You can get high commission percentage upon the sale of digital products than physical products. 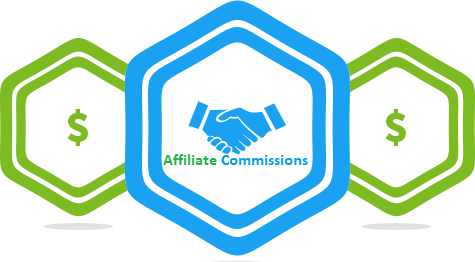 Commission rate for digital products varies from 30% to 70% for different affiliate programs. However, you can get 1& to 10% commission by selling physical products. Never ever viaduct the terms and conditions of the affiliate program that you are about to join because it is the matter of bucks. Go through the terms and conditions carefully because chances of getting the account banned are higher due to the violation of terms. Every affiliate program has its own T&Cs (some of them might be same), so read them carefully in order to prevent problems in future. When you are selling something, actually you are helping others to get something done greatly or to resolve some common problems so always promote well-reputed products in order to enjoy boosted sales. You can do it greatly by keeping in mind that you are helping others by selling products or services and the customer must get something of use from your blog or website. Always check the reputation and popularity of the product or service among public before promoting it on your blog or website. Since it is the last thing to consider before joining an affiliate program, it can make a huge difference between success and failure of affiliate marketing.